The Technical Centre for Agricultural and Rural Cooperation ACP-EU (CTA), in collaboration with African Agribusiness Incubators Network (AAIN), EIC Corporation (Côte d’Ivoire), Agribusiness TV and innovation spaces including Suguba (West Africa), Jokkolabs (Côte d’ivoire/Africa), Wennovation Hub (Nigeria), Etrilabs (Benin), CIPMEN (Niger), EcoHub (Togo), Woelab (Togo), CTIC (Dakar), is launching Pitch AgriHack West Africa 2017. Pitch AgriHack is a component of the AgriHack Talent program of CTA. This edition is focused on West Africa. The final will be held in Côte d’Ivoire in September 2017. The ultimate objectives are to help develop business services offered by young e-agriculture start-ups as well as to contribute to accelerating the adoption of innovations for stronger productivity by the agrifood sector. This edition is only open to start-ups from all West African countries, whose owners are 35 years old maximum. They must be owner of a prototype or already operating a mobile application or ICT services for the agriculture sector. 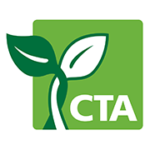 Winning start-ups will receive from CTA up to Euros 15,000 in cash (grant) to advance their services, apart from investment and capacity building opportunities that may be facilitated by stakeholders involved. Make sure you read background information and rules of the activity before applying (see application link above – you may need to register on the VC4Africa platform before). For more information, please go http://www.pitch-agrihack.info.